TORONTO, ONTARIO (May 8, 2015) – kartSTART (www.kartSTART.ca) presented by Toyota is a unique family safety education program that is designed to give Canadian youth and their families a true, real-world understanding of the physics behind driving a motorized vehicle – and this year, the program is celebrating its fifth anniversary. During the past four years, over 1700 Canadians have participated in the ASN/FIA Canada Safety Endorsed kartSTART program. Understanding that safety is a product of both education and training, kartSTART places importance on educating the entire family, and not just the soon-to-be new drivers. This is why the half-day program also invites parents to experience safety through education by demonstrating the Toyota Star Safety system in action – out on the tracks and in Toyota vehicles. With a new stop arriving at a second location in Quebec, the SC Performance facility in Trois-Rivières, the total number of national locations will increase to eight this year: Chilliwack, BC; Edmonton, AB; Saskatoon, SK; London, ON; Toronto, ON; St-Eustache, QC; Trois-Rivières, QC; and Moncton, NB. 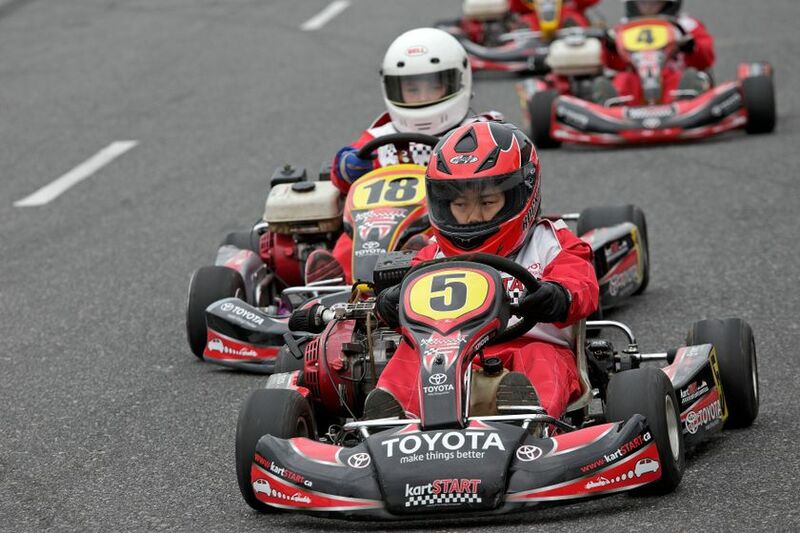 In addition, the kartSTART fleet of karts has been updated to provide the latest available technology, enhancing the learning capabilities of the young drivers. Canadians will also experience upgrades to the kartSTART.ca website, where all summer tour dates for the 2015 program are now available and registration can be done completely online. The schedule can be found at www.kartSTART.ca. Toyota Canada Inc. (TCI) is the exclusive Canadian distributor of Toyota, Lexus and Scion vehicles. Toyota has sold over 4.6 million vehicles in Canada through a national network of 285 Toyota, Lexus and Scion dealerships. Toyota is dedicated to bringing safety, quality, dependability and reliability in the vehicles Canadians drive and the service they receive. TCI’s head office is located in Toronto, with regional offices in Vancouver, Calgary, Montreal and Halifax and parts distribution centres in Toronto and Vancouver. Toyota operates two manufacturing facilities in Canada which build popular Canadian vehicles: Toyota RAV4, Toyota Corolla, Lexus RX 350 and RX 450h hybrid and just celebrated production of its 6 millionth vehicle.